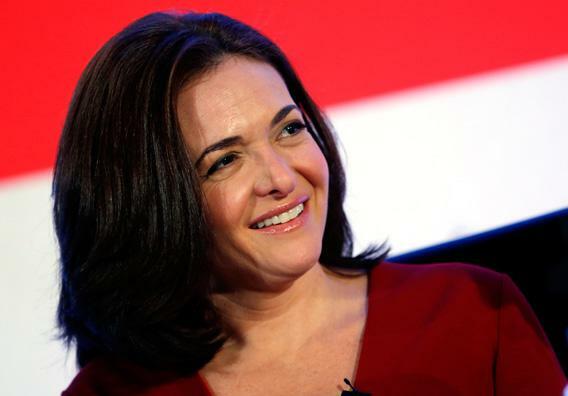 Backlash against Sheryl Sandberg and Marissa Mayer: Why do we hate powerful women? Why Do We Hate Successful Women? Liberals want more female CEOs. But they hate the ones who exist. It’s one of our current ironies that the same liberal people complaining that there are not enough women CEOs seem to harbor a special contempt for the women CEOs we do have. We like to say there aren’t enough women in the higher echelons of spectacularly successful business people, but when women do rise to those echelons, we attack them for that spectacular success. USA Today ran a column arguing that Marissa Mayer and Sheryl Sandberg leave “a bad taste in the mouths of many working mothers who don’t have the income or family luxuries of these uber-women.” They are constantly attacked for the unremarkable fact that they have staff to support their careers, and sustain their families. Sandberg has been caricatured as having “Prada ankle boots” and “Louboutin straps”; in other words, the shameful or distasteful truth about these very rich successful business women is that they are very rich. The main critiques of Sandberg and Mayer boil down to the fact that they are “not like us.” And yet, it is precisely because they are not like us that we should admire them, or at least be pleased, abstractly, about their existence on earth. It also seems like a feminist mistake to expect women entrepreneurs to create little utopias instead of running extremely successful businesses. Mayer was attacked recently for her decision not to allow employees to work at home. She is a woman, this line of thinking goes, how could she think women should have to work away outside of their houses, away from their children? But why should Marissa Mayer have some special responsibility to nurture her employees with a cozy, consummately flexible work environment just because she is a woman? Isn’t her responsibility to run a company according to her individual vision? If we want powerful female entrepreneurs shouldn’t we allow them to pursue entrepreneurial power? The strange idea that women who are successful must represent all women, or somehow be like all women, is both totally absurd and completely prevalent. How could someone in the position of Sandberg or Mayer live exactly like most women in America? Mayer attracted criticism for taking too short a maternity leave and for saying her baby is easy, because women with any sort of success or advantage are supposed to be self-deprecating. They are supposed to complain or evoke the terribleness of their lives, so that other women will not be threatened, to diffuse the powerful and frightening competitive instinct. This is an expectation most of us pick up in middle school, but the fact that it persists and lives on in the blogosphere and newspaper columns among grownup critics and pundits is shameful. Anna Holmes’ recent online piece for The New Yorker carefully chronicles how Jodi Kantor, writing on the front page of the New York Times, and then Maureen Dowd, in the same paper, twisted and distorted a quote of Sandberg’s, “I always thought I would run a social movement,” to make her sound more ambitious or as The New Yorker piece says, “arrogant.” The original, quite reasonable quote was: “I always thought I would run a social movement, which meant basically work at a nonprofit. I never thought I’d work in the corporate sector.” But even if she had said the sentence, as a standalone aspiration, why should out-scale over the top ambition in a woman be considered arrogant or unappealing? Why is there so much resentment and mockery aimed at women with grand visions? But why should Lena Dunham or Sheryl Sandberg or Marissa Mayer have a special obligation to “represent” the experiences of the whole chaotic spectrum of American female experience? Surely, as a country, we should have moved beyond the idea that successful women should be less ambitious, less ruthless, less self-involved, less inspired or single-minded in their pursuit of power or creative expression than their male counterparts (and in the case of Sandberg, surely she can offer advice to working women without being exactly like them). I agree with Hanna Rosin’s recent argument in Slate that the word feminist is of little use to us now, but if we are interested in female power then we should let our powerful women pursue power, without harassing them with our distaste for that pursuit. We should not expect them to be warmer, fuzzier, more nurturing than their male counterparts because to do so is to impose sexist expectations. We should not expect extraordinary women to be ordinary; we should not be constantly demanding that they live like us, or be like us or feel like us. Our discomfort with their ascent is mingled with resentments and jealousies and female jostling that is not worthy of the new world of opportunity in which we find ourselves (and, really, not worthy of the schoolyard from which it comes). If you want to see someone who is just like you, look in the mirror.